Control Panel With Wiring - Cords Old. 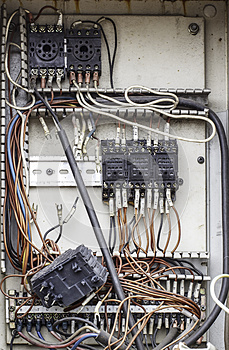 Photo title: Control panel with wiring - cords old. The control panel wiring - wiring in an old factory.